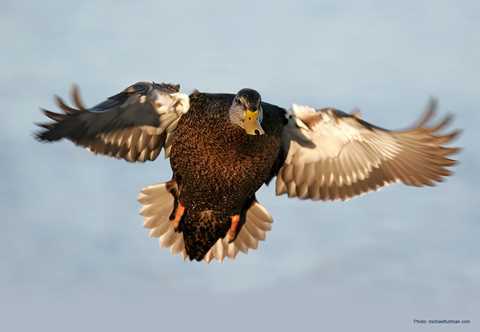 The American black duck breeds from the upper Mississippi River across to the northeastern United States, north through northern Saskatchewan, Manitoba, across Ontario and the eastern Canadian provinces. The highest breeding densities are found in Maine and Nova Scotia. 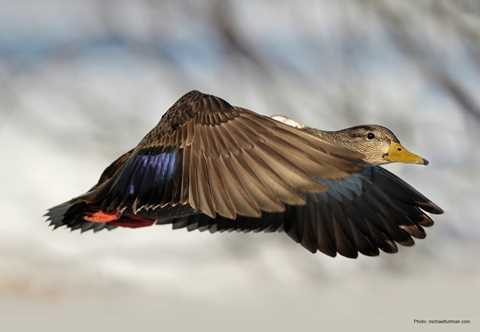 American black ducks utilize a variety of habitats for breeding, such as alkaline marshes, acid bogs, lakes, stream margins, fresh, brackish and salt marshes, and the margins of estuaries. 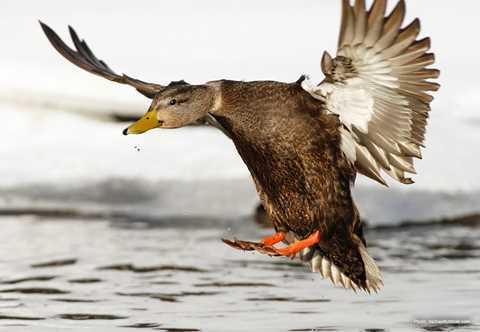 Female black ducks lay an average of 9 eggs. 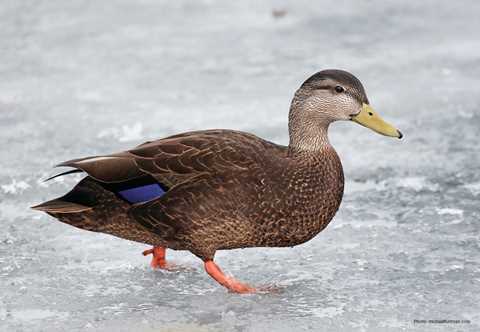 Average length: M 22", F 21"
American black ducks dabble in shallow water to feed on plant material and small aquatic animals (insects, amphibians, etc.) in freshwater habitats, and mollusks and crustaceans in maritime habitats. 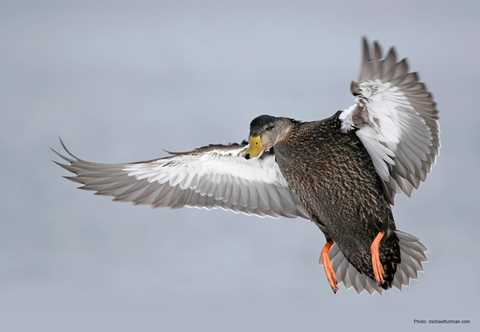 Black duck populations have continuously declined since the 1950s. 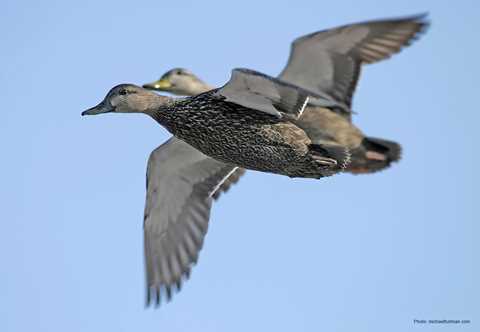 Reasons for this are unclear, but recent studies suggest that expansion of mallard populations eastward into black duck breeding habitats have resulted in hybridization and competition between these similar species. 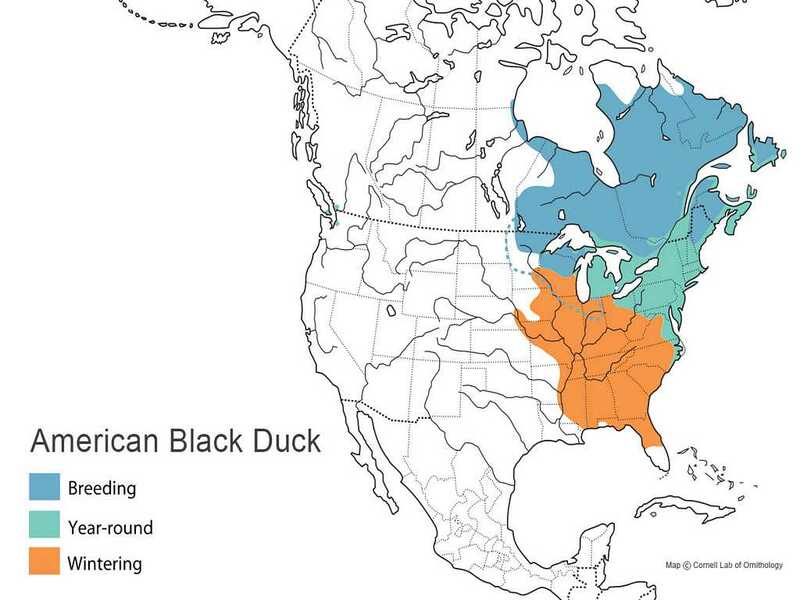 Black ducks are most common in the Atlantic and Mississippi flyways, with most distributed along the Atlantic coast from the Maritime Provinces to Florida. 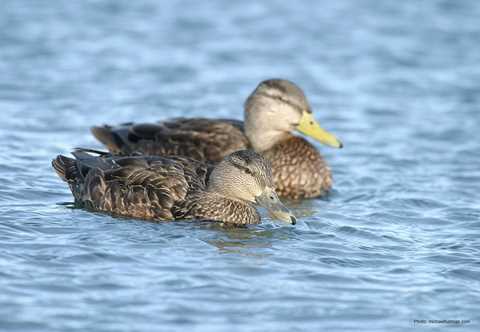 They are most abundant on coastal wetlands, ranging from the Maritime Provinces, Lake Erie, and the St. Lawrence River in Canada, to the mid-Atlantic coast in the United States. High concentrations are found wintering between Long Island and North Carolina. 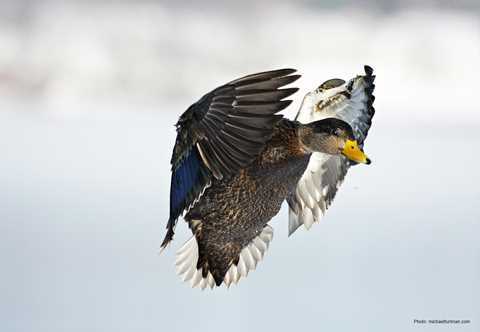 When away from the coast, black ducks use large river valleys like those of the Tennessee, Detroit, and Upper Illinois rivers.